I recently visited Nicklas with a stress level that was through the roof. A busy work schedule had been infringing on my personal life for quite some time. I had lost my ability to balance both while maintaining a manageable stress level. I started to notice that I could barely keep my mind focused on any one thing. When I was at work I would worry about not making enough time for family and friends and when I was with family and friends I worry about work. I was completely out of balance. After just one short visit with Nicklas (where I had countless ‘ah-ha’ moments) I felt a thousand times better. She helped me compartmentalize my life and help me identify and address the areas that I had been ignoring and the areas that were causing much of the stress that I was suffering from. So far I’ve been back to see Nicklas twice since our initial consultation, and every time I see her, she provides more clarity in my life. My work will likely never slow down, but Nicklas has given me the ability to organize myself and be more productive in all facets of my life. Thank you for your help Nicklas. I’ll see you again soon. Originally I began seeing Nicklas to help conquer my fear of public speaking. I didn’t understand why this fear had such control over me. My sessions with Nicklas were key in overcoming this fear. Nicklas equipped me with tools to deal with my fear and stress over public speaking and helped me to uncover the hidden unconscious reasons that were behind my reaction. I began to see and feel immediate results in my daily life after our first meeting. I am now able to stand up and speak about my business concisely and with confidence…With Nicklas’ coaching, I was not only able to overcome my fear of public speaking, but I also learned invaluable life strategies. Through our sessions I was able to access unconscious patterns that were self-defeating and holding me back in other aspects of my life including my relationships, both personal and professional, my self esteem, and my health. Working with Nicklas has improved all aspects of my life, and has been a vital component to the ongoing success of my massage therapy practice. I highly recommend Nicklas Ehrlich as a life coach and counselor. She provides a safe, compassionate, supportive and comfortable environment as well as an incredible base of knowledge and wisdom from her years of experience and expertise to help guide you on your path to success. I saw Nicklas recently because I needed someone to help me work though the loss (or maybe it’s more a misplacement) of a friendship I feel strongly about. I’d been nervous prior to our session, as I’ve known Nicklas only as a business associate, and I wondered how getting into all this personal territory might feel. I needn’t have worried; Nicklas put me instantly at ease in her cozy, inviting consultation room. Not only did Nicklas offer me a fresh perspective as to what might have motivated my friend’s behavior, but she did it in a way that enabled me to forgive (both my friend and myself) and see the whole situation with a new degree of understanding and compassion. At no point did I feel talked down to or judged – quite the contrary, I felt listened to, understood, and comforted. It was exactly what I needed, and I’m deeply grateful. Nicklas has this great ability to find out what the person’s strengths are, make them aware of them and then help them to build on them. She neither takes away their personal power nor makes them dependent on her. I feel she has great integrity. Someone I would refer to Nicklas might have recurrent physical or emotional health problems, or may be chronically dissatisfied with their lives for one reason or another. She has a remarkable ability to help them get in touch with unknown parts of themselves and through this develop both spiritually and emotionally. People who have seen Nicklas have been pleased with the extent of their personal growth, and this growth can, in turn, provide benefits to their physical health. I consider that for many people, this type of inner exploration can be a form of preventative medicine. Through counselling and coaching with Nicklas, I have experienced tremendous learning about the mechanics of good communication – intentions, clarification of words, how to communicate feelings, deflecting and reframing negative energy. I learned to improve my decision-making abilities due to clarifying my mission and important values. Counselling gave me the ability to concentrate and focus which enhanced my professional sales and athletic performance. I feel centered and able to make effective decisions because I learned how to work through my unresolved issues and fears. It has freed up my energy. Nicklas…guided us through the process of getting our careers back on track by reprogramming us for success. She also helped us deal and cope with our children’s behaviours and made us understand our parenting role. After the first few sessions we began seeing the improvements with the techniques provided and now we have our immersion in the new home and country in grip. Thank you Nikclas for the patience, the time, and commitment to guide us through this rough patch. Thanks to your help and techniques we are getting back to the life we enjoy and want to embrace. We first came to see Nicklas for business consulting. We are partners in business and in life, and we wanted to work more effectively together. Nicklas gave us the tools to run our business and this also flowed over into our personal life. We learned how to define our own areas of expertise in the business, clarifying each of our roles. This helped to prevent any clashes in the workplace and at home. The most important area of concern for us was dealing with family trauma around our daughter, and the help we received to live through it. Had we not had the benefit of her expertise and support we believe we wouldn’t have recovered as quickly, if at all, and may have been stuck longer, if not forever. Because of her help, we were able to move forward with our life. We are now more effective in communicating, listening, and negotiating our lives so that both of us enjoy being with each other. We no longer experience a tug of war, it is easier to get our needs met and we both feel happier. Our relationship is no longer focused on the day to day power struggles and we are now free to focus on building a healthier future together. I worked with Nicklas when she was just starting out as a social worker in the hospital and I admired her initiative in going out on her own and starting her own practice. I made sure I had her card and when the time came that I felt I needed to see someone I thought of Nicklas right away. Being a nurse I knew I couldn’t let my own issues get in the way of my work. As a healthcare professional you have to be together. You have to be responsible. I was heading into menopause, and being a nurse I knew what that could mean, and didn’t want it to interfere with my work. I was in my early forties and it was a time to re-evaluate my life. You have some expectations of who you are as an adult. I wanted to check them out and I needed a safe place to do that. Nicklas gave me that safe place. She was completely non-judgmental and together we took the time needed to deal with issues that were impacting my whole life. I trusted her completely and there was a mutual respect that developed during the counselling. It has been very empowering and my self confidence has benefited greatly. I have referred both individuals and couples to Nicklas Ehrlich for counselling. She is a first rate counsellor, and an excellent therapist. She is able to give her clients another eye that has clarity, to see what the confusion is and then reflect back to them what it is that they need to understand. With couples I have referred to her, she has been able to restore the communication between them, which then allows them to work things out. I wouldn’t hesitate to refer a patient to Nicklas Ehrlich. I have sent lots of people to Nicklas. When my patients need some healing on the emotional level I will refer them to Nicklas. She is really good at identifying the hidden emotional issues that are blocking the physical healing and then developing the strategies to allow that healing process to take place. All of the patients I have referred to Nicklas have been pleased with the results. She is a good listener and she hears more than they are saying. She has a very highly developed intuitive sense and is better than most at being able to lead the person beyond the obvious issue to exactly what they need to work on. This ability to lead people to what they need to work on is one of the main reasons I like to refer people to her. I have referred individuals, couples, and families to Nicklas for a variety of concerns. Some of the referrals were for relationship issues, communication skills, parenting skills, and sexual abuse. I have found her services to be excellent. She is a competent, caring, compassionate and effective therapist. Nicklas offers a nice balance of intuitive therapeutic skills as well as practical and understandable left brain skills to clients. This is a good combination of mind and heart. I have been very happy with the results, and I continue to refer clients to her. I think the men, women, and children of our community are lucky to have Nicklas to assist them. I encounter a lot of human pain every day in my work and I feel I have a professional obligation to take care of myself in order to really be there for the people who are depending on me. Also, as a social worker, I know that when you are in trouble you need to get help. There is no stigma attached to it. Seeing Nicklas is just one of the things I do that allows me to stay healthy and do my job to the best of my abilities. I was going through a marriage break-up and was concerned about co-dependency and other negative behaviour patterns. I decided I wanted to do some in depth work, it was time to clear up some old stuff, and I picked up Nicklas’ brochure at my doctor’s office. Every point on it seemed to apply to my situation so I called her. The best thing for me was the group work. Nicklas had clearly mastered the material and she is a wonderful facilitator. She has an intuitive ability to tune into what is really going on at any one time and then the skills to bring it out and deal with it. This experience has really helped me to let go of some old behaviour patterns and to learn how to set healthy boundaries. Nicklas has a special gift for unraveling the unspoken in a conversation between two people in a way that honours the humanity in each person. Her professional approach in reorienting two people from their adversarial positions to recognizing each other’s needs and aspirations clearly gives insights and communication skills necessary to become supportive partners in a more mature relationship. You learn to understand the destructive patterns which you are caught in, and then you are much more able to diffuse a situation before it gets away on you. I first met Nicklas in July of 1995, after separating from an abusive spouse. I had been married for 15 years and had great difficulty in breaking away. Nicklas support helped me through anxiety, fear and grief. I simply could not have made it through the court hearings without her support. Nicklas is non-judgmental and has deep insight into the dynamics of relationships, which, in turn, enabled me to look at problems more objectively. However, Nicklas’ most outstanding qualities are her integrity and commitment to others. In my opinion, she is not only an outstanding counsellor, but an outstanding person as well. A few months ago I sent am acquaintance of mine to Nicklas. After just a few sessions, I noticed how he had changed the way he thinks and sees the world. Through hypnotherapy, cognitive therapy, and other methods, Nicklas was able to turn him into a more happy, positive and confident person. Unlike some therapists who make you see them for years, Nicklas works to tailor the therapy to the individual so positive results are seen quickly. 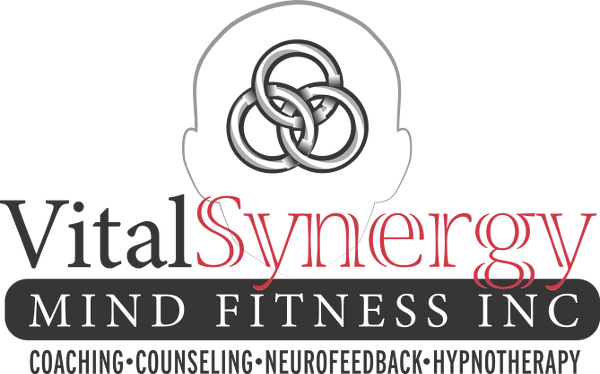 I used Vital Synergy Coaching & Counseling in July of 2011 for stress reduction and sports performance. Nicklas is extremely knowledgeable and professional. After the treatment, I saw a reduction in sports performance anxiety and an increase in on-field performance. I also noticed an overall decrease in stress and related symptoms. I would not hesitate to recommend Nicklas for counseling or coaching services. Craig Boyd, Owner & Co-Founder of Precision Athletics Inc. I had the pleasure of meeting Nicklas in a professional setting. In the area in which I work, I have people often ask me to recommend a counselor, so I decided to take Nicklas up on her offer of a half-hour free consultation to see how she worked. I was so impressed that I decided to see if she could help with anxiety I was having concerning my upcoming licensing exam for Doctor of Traditional Chinese Medicine. I have had the unfortunate experience of writing an important exam and in spite of my hours of preparation, my anxiety got in the way and I couldn’t recall anything I had studied on the day of the exam. This experience was always in the back of my head and I was worried of it happening again. i worked with Nicklas using hypnotherapy and counseling to look at my fears concerning the exam. On the day of the exam I knew my time with Nicklas made a difference. I was calm and centered. in spite of enormous difficulty of the exam, I found I worked with a sense of ease and I was surprised at what I could recall. Afterwards I even noticed how much calmer I was while I waited for the results. Pass or fail I felt good about the process. I am happy to say I passed the exam and I know without a doubt my time with Nicklas had made all the difference. I can even see how my time spent with her has made a positive impact in other aspects of my life. I now recommend Nicklas to anyone who asks.